Blue Jasper ware with applied white relief. 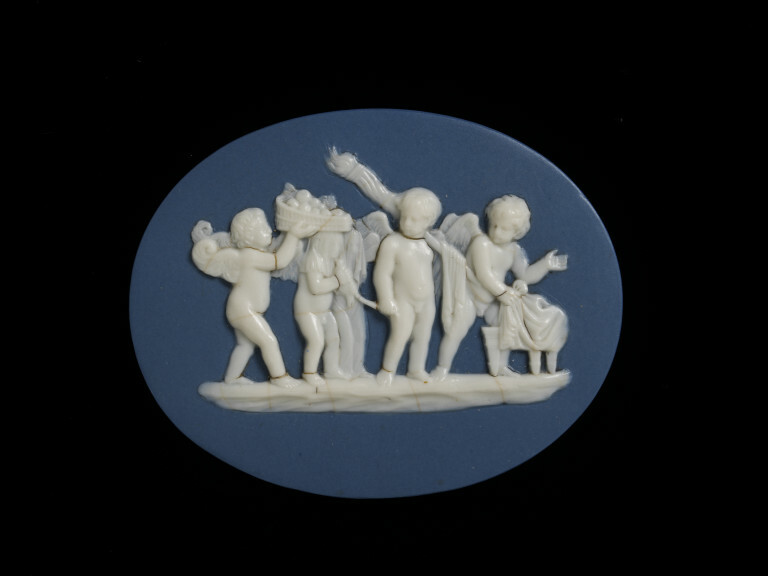 Oval cameo of blue Jasper ware with applied white bas-relief. 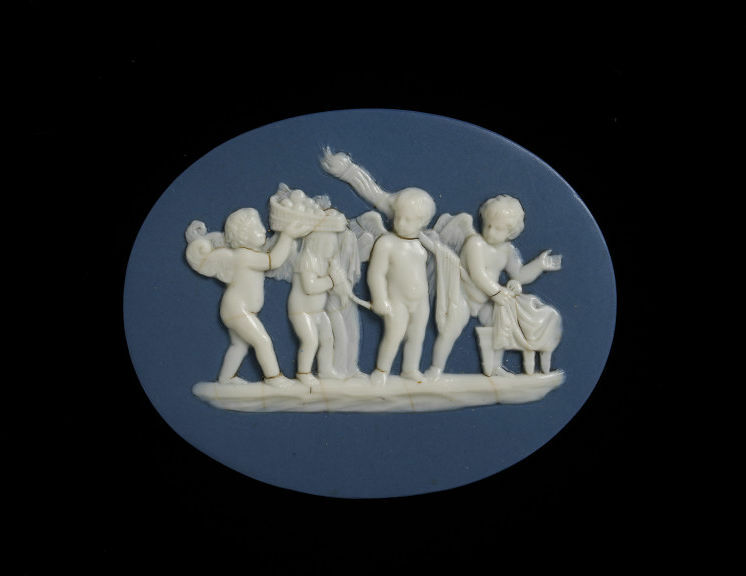 The detailed classical scene of a procession of five winged figures depicts the marriage of Cupid and Psyche. The couple are shown veiled led by a chain by Hymen in a bridal procession, whilst a basket of fruit is held above their head. 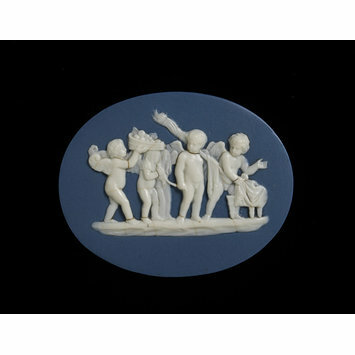 Cupid holds a turtle dove and Hymen holds a torch. Psyche is shown as a young girl and her wings are those of a butterfly. The white relief has a glossy finish and dirty cracks. Historical significance: This design is loosely based on a 1st Century sardonyx cameo by Tryphon known as the Marlborough gem. Oval medallion of blue Jasper ware with applied white relief decoration, Wedgwood Factory, Staffordshire, ca. 1775.